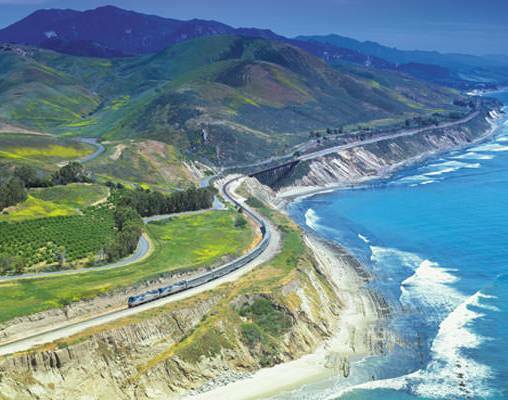 Embark on a 12-day rail journey from Chicago to New York, San Francisco, and more. Enjoy sightseeing through famous cities, amazing scenery, and wonderful restaurants and shops on this round-trip journey across America. Travel from Chicago to New York on the Lake Shore Limited. 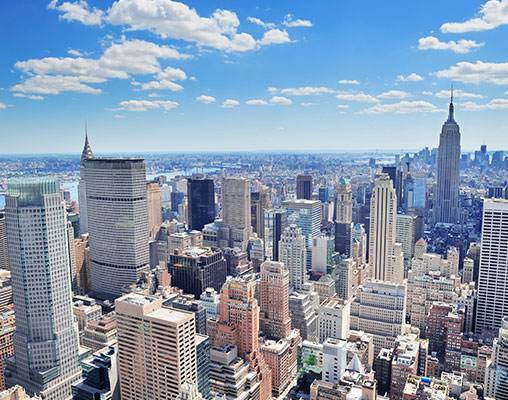 New York City with all of its glitz and glamour awaits you. See the Empire State Building, Times Square and Central Park. You will then continue on your journey south aboard Amtrak's Crescent. 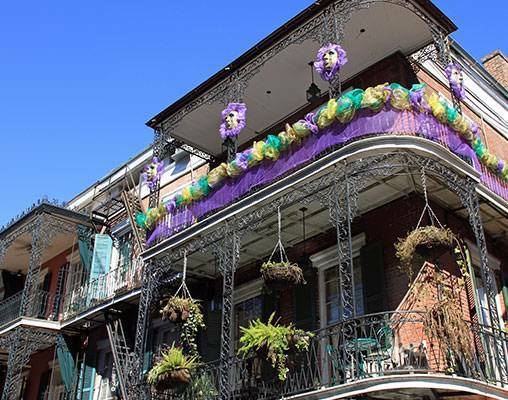 On the Crescent you will pass through Alabama and Mississippi en route to The Big Easy. 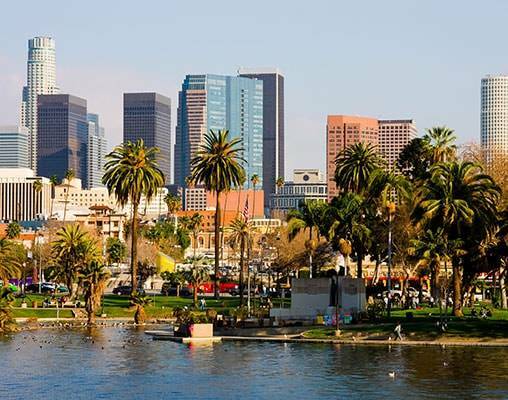 Travel 2,000 miles across five states to Los Angeles on the Sunset Limited. You'll cross the Louisiana Bayou, wastelands of Texas, and stark lands of New Mexico and Arizona. Amtrak's premier train, the Coast Starlight, will take you first-class from Los Angeles to Emeryville on the 469-mile run. See the sights of the “City by the Bay” before boarding the California Zephyr for Chicago. 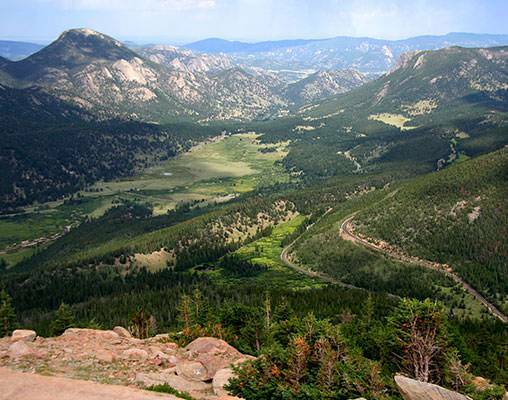 Travel through the Colorado Rockies and under the Continental Divide on this 2438-mile journey. Round-trip transportation by Amtrak rail and connecting motorcoach. Sightseeing tours at each destination. America from Coast to Coast travelers will meet in Chicago Union Station this afternoon. At 8:00 p.m. we'll board the eastbound Lake Shore Limited. Departure is scheduled for 9:30 p.m. Relax in your comfortable reclining coach seat with leg rest. Roomettes or Bedrooms may be available at an additional cost. During the day our train will roll across beautiful upstate New York. The trip down the Hudson River with the Catskill Mountains in the background is equally beautiful. Upon arrival into New York's Penn Station at 6:23 p.m., we'll transfer to the San Carlos Hotel. This morning we'll embark on a sightseeing tour of New York City. We'll see most famous uptown and downtown neighborhoods: Harlem, Museum Mile, Central Park, Times Square, the Empire State Building, Greenwich Village, Lincoln Center, Grant's Tomb, United Nations, St. Patrick's Cathedral, and many more. We'll be passing through Atlanta at 8:00 this morning and traveling through Alabama and Mississippi during the day. At 7:32 p.m. we'll arrive in the fascinating Crescent City. Our home for the next two nights, the Hampton Inn Downtown is near the French Quarter. You are free this evening to explore this exciting city. Breakfast is included at our hotel this morning. We'll transfer to the Amtrak station where our travelers will prepare for a 2000-mile trip across five states to Los Angeles. Departure of the Sunset Limited is scheduled for 9:00 a.m. Relax in your comfortable reclining coach seat with leg rest. Roomettes or Bedrooms may be available at an additional cost and include dining car meals. Plan on a train side stroll during our early afternoon stop in El Paso. The rest of the day we'll encounter the stark, desolate land of southern New Mexico and Arizona. When we arrive in Tucson at 6:45 p.m., you can enjoy another train side walk. Arrival into Los Angeles Union Station is scheduled for 5:35 a.m. Your Tour Director will explain the various “on-your-own” breakfast options, ranging from a Starbucks and a 7-11 style convenience store in the station to nearby restaurants, including the famous Phillipes (home of the original French Dip sandwich). Enjoy the station's architecture, gardens, and throne-like seating. At 10:10 a.m. we'll depart on Amtrak's premier train, the Coast Starlight. 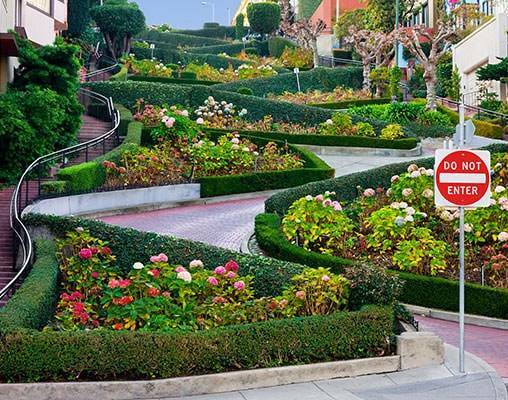 Relax and enjoy the 469-mile daytime journey to Emeryville (San Francisco). The highlights of the day will include traversing mountain ranges and about 100 miles of scenic Pacific Ocean coastline. We are scheduled to reach Emeryville at 9:54 p.m. and will transfer to the World-famous “City by the Bay.” Our home for two nights in San Francisco is the beautiful Holiday Inn Fisherman's Wharf. At 10:00 a.m. we'll embark on a three hour sightseeing tour of San Francisco, including Chinatown, Golden Gate Park, the Mission District, Telegraph Hill, the Presidio. You're free this afternoon to ride a cable car or just wander around world-renowned Fisherman's Wharf. You'll have time to discover the excellent restaurants, markets, import houses, galleries and souvenir shops. This morning we'll return to the Emeryville Amtrak Station where we will board the California Zephyr for our 2438-mile journey across seven states to Chicago. Departure is at 9:00 a.m. Look forward to the same accommodations and amenities you enjoyed on the Sunset Limited. As we travel eastward, we leave the lush green landscape and palm trees of California and enter the rugged terrain, dotted with pine trees, of the high Sierra Nevada mountains. We will pass through the famous Donner Pass this afternoon. 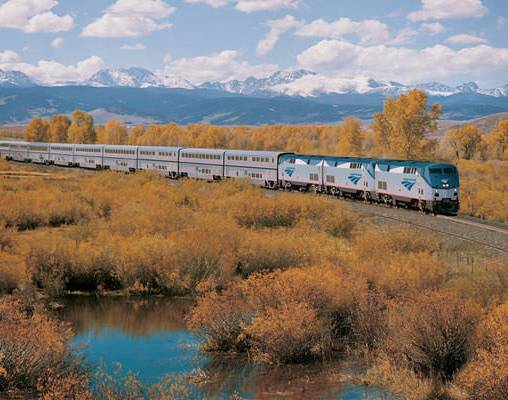 Make sure you take the opportunity to view the spectacular Colorado Rockies scenery from the Sightseer Lounge car as we make our way toward Denver. When we leave Glenwood Springs, we will begin to climb through the awesome Rockies toward the Continental Divide. We'll encounter the famous 6.2-mile long Moffat Tunnel and go under the Continental Divide. The mountain vistas will continue throughout the afternoon. We'll arrive in Denver at 6:38 p.m. The California Zephyr will roll across Iowa and Illinois and arrive in Chicago at mid-afternoon. Some tour members will change to trains bound for Midwest, Eastern, and Southern home cities. Others will spend the night in Chicago and fly home tomorrow. Click here to view testimonials for America From Coast to Coast. Great way to see so much of the USA in one organized tour! Enter your details below if you would like to be notified when 2020 dates and prices are available for America From Coast to Coast. Prices are land-only, per person based on double occupancy. Prices are correct at the time this web page is published; however, are subject to change. Itinerary and accommodations may vary for 2019 departures, please speak with a rail specialist for details.